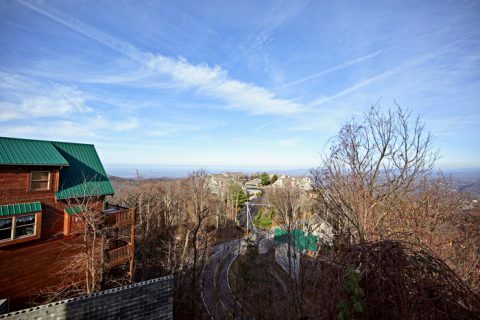 You'll feel as if you're on top of the world from your Gatlinburg chalet rental, "City View Chalet!" 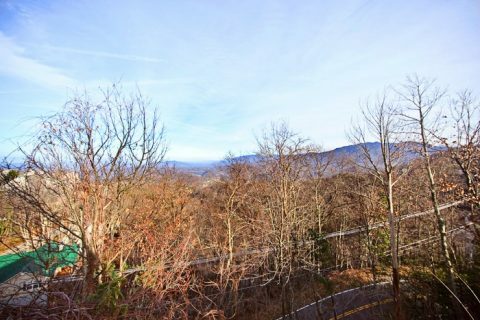 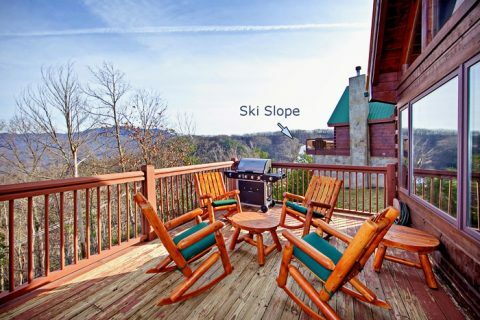 From inside your Gatlinburg chalet with views or outside on your chalet's large decks, enjoy spectacular views of Ober-Gatlinburg Ski Resort, downtown Gatlinburg, and the Great Smoky Mountains National Park year-round! 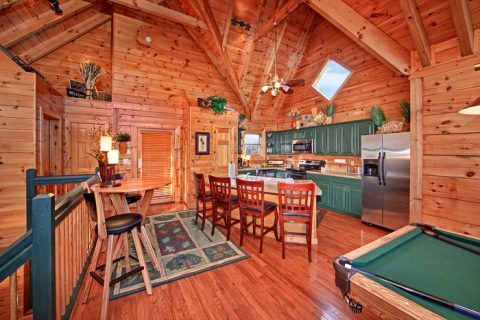 This chalet in Sky Mountain Village Resort provides all the comforts of home as well, making it perfect for your mountain getaway. 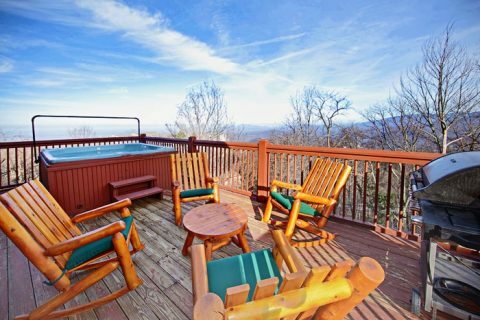 Your Gatlinburg chalet with views provides the ultimate in lodging accommodations. 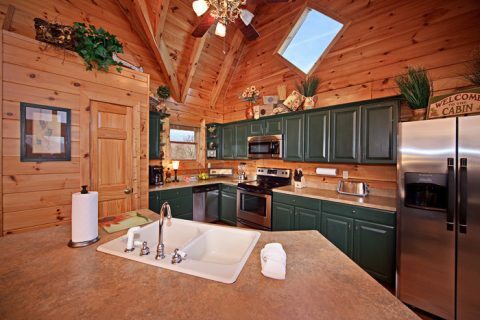 Step into the spacious kitchen, complete with breakfast bar, stainless appliances, and plenty of counter space for preparing meals. 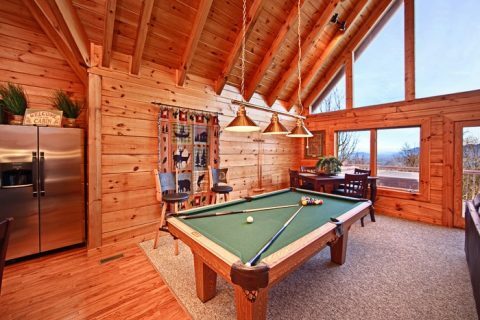 Everyone can gather at the large dining table or play games of pool at the pool table while waiting for dinner. The nearby living room offers large, leather sofas, comfy armchairs, an inviting stone hearth around the gas fireplace, and, of course, mountain views from its large picture windows. 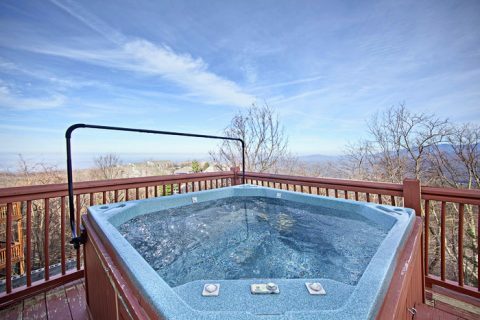 Outside on the deck of this Gatlinburg chalet rental, enjoy relaxing in the hot tub, watching sunsets in one of several rocking chairs, or hosting a cookout on the grill. 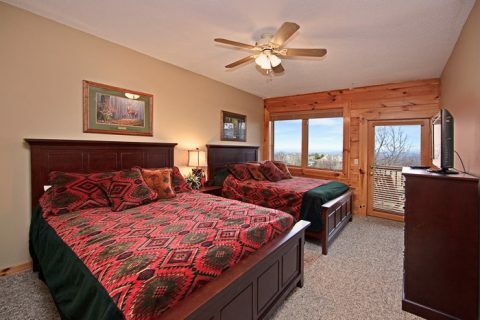 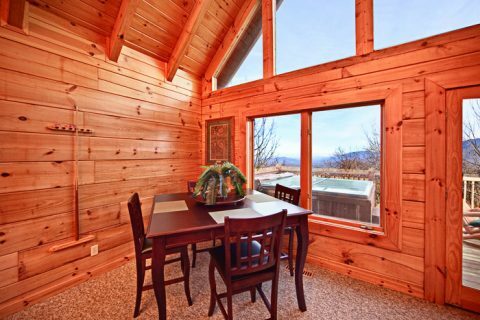 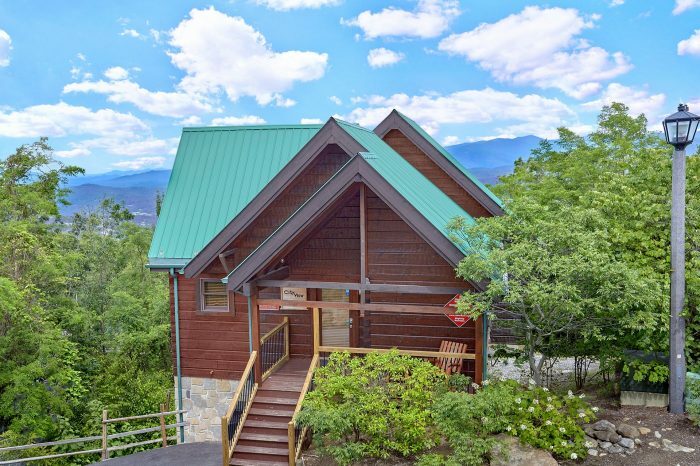 Downstairs, this Gatlinburg chalet rental boasts three spacious comfortable bedrooms. 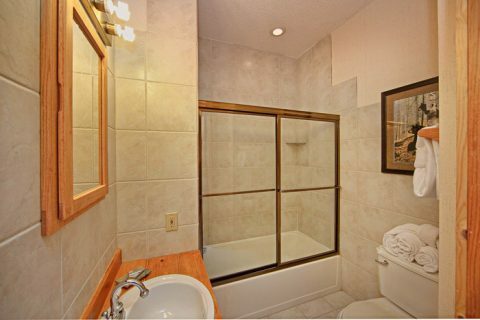 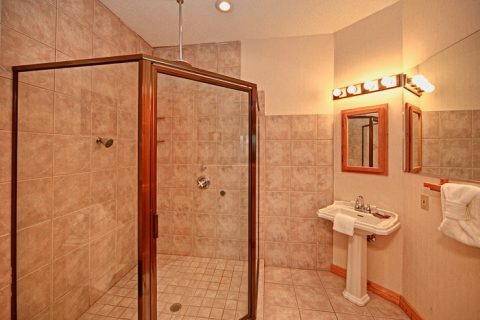 Each bedroom has its own private bathroom, with 2 offering opulent rain head showers. 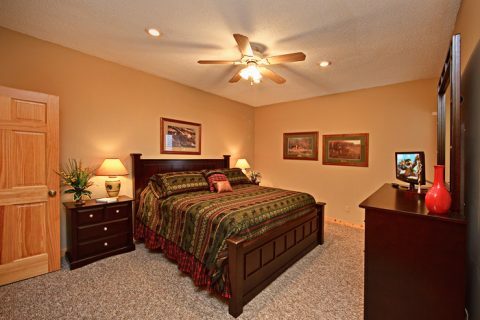 2 bedrooms give guests comfortable king size beds, while the third bedroom provides 2 comfortable queen-sized beds. 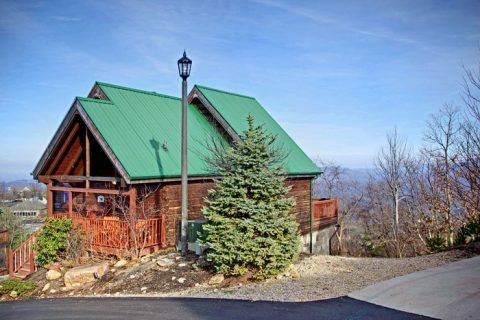 Combined with the sleeper sofa upstairs this Gatlinburg chalet with views sleeps up to 10 quite comfortably. 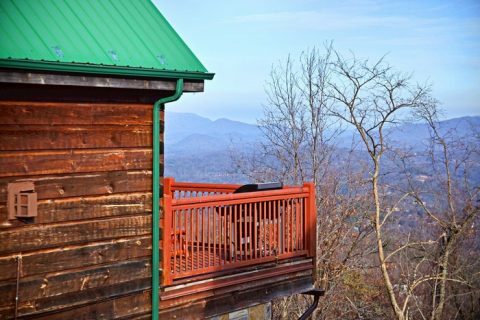 Additionally, guests staying in the two rear bedrooms can enjoy access to another deck that allows them to take in gorgeous views of the surrounding landscape. 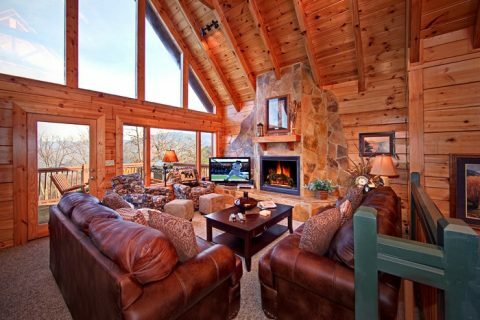 Treat your family and guests to the luxurious comfort and breathtaking views that "City View Chalet" provides. 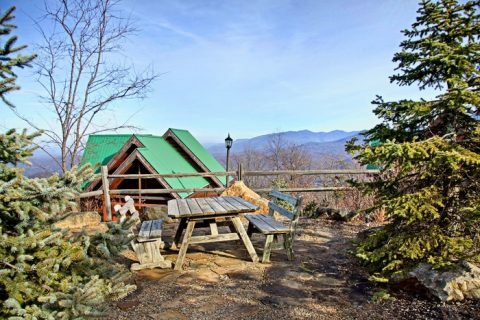 Come stay at this Gatlinburg chalet rental in Smoky Mountain Village resort and begin a vacation that everyone will remember!